Dr. Rajshri Ritesh Gachkal from Bahrain Specialist Hospital tells us more..
As we age, you definitely know our skin loses moisture and elasticity, making it prone to wrinkles. Let’s get to know more about wrinkles and how to reduce these ugly looking lines on your face! Q: What are the types of wrinkles? A: Fine Lines: delicate fine lines on face. Dynamic wrinkles: wrinkles in motion i.e. wrinkles appears on face while giving expression. Static wrinkles: wrinkles at rest i.e. wrinkles always visible on the face. Q: How to reduce wrinkles naturally? Avoid the sun; wear sunscreen if you will be outdoors include UV protection as part of your morning regime. Get adequate sleep, sleep on your back. Don’t squint, get reading glasses. Eat more fruits and vegetables. Use moisturizer; ageing skin feels and looks better when moisturizers are applied regularly. These improve the water-holding capacity of the skin. Q: What is the medical line of treatment for wrinkles? 1) FOR FINE LINES: Topical Creams- retinoid, Vitamin c, Alpha hydroxy acids, Polypeptides. 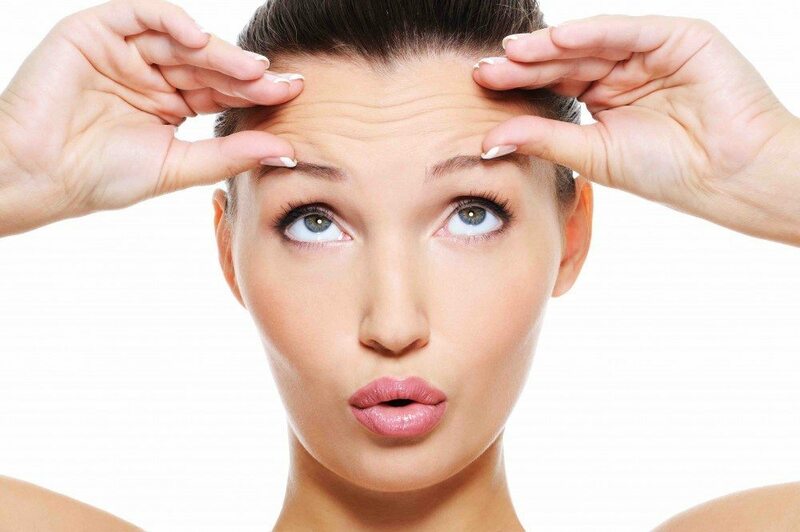 BOTOX: It acts to minimize muscle activity, the effects last about three to twelve months. FRAXEL LASER – It is used to treat wrinkled, sun-damaged, and aging skin, as well as acne scars and stretch marks. This “fractional” treatment allows the skin to heal much faster, 3-5 treatments spaced 2-4 weeks apart are recommended. PELLEVE – It is Non-Surgical Skin Tightening Technology for Wrinkle Reduction, 2-3 treatments spaced 4–6 weeks apart are recommended. THERMAGE LASER-It it is a non-invasive procedure which offers skin tightening. It claims to tone and tighten sagging facial and neck skin. There is no downtime after Thermage, but maintenance treatment is necessary. MESOTHERAPY (EYE /FACE) – Multivitamin injection is given to reduce wrinkles and under eye bags. PRP (EYE /FACE)- It is a procedure that involves withdrawing a patient’s own blood, processing it to produce “platelet-rich plasma (PRP),” then re-injecting it to erase wrinkles and create a more youthful look. It is a safe procedure as patients own blood (20 ml) is used to produce PRP. DERMABRASION -It is the process of surgically scraping the skin. It helps to reduce the appearance of scars, wrinkles, pigmentation and pre-cancerous lesions. MICRODERMABRESION-Microdermabrasion is a far more superficial treatment. FILLERS- When filler is injected, it acts like an inflated cushion to support facial structures and tissues that may have lost their volume or elasticity due to normal aging. It also brings water to the surface of the skin to keep it looking fresh and supple. Effect of fillers last about a year or two.